The Theatre of Dionysos lies on the south side of the Acropolis, forms an integral part of the Sanctuary of Dionysos and is directly connected to the myths and cult of the god. 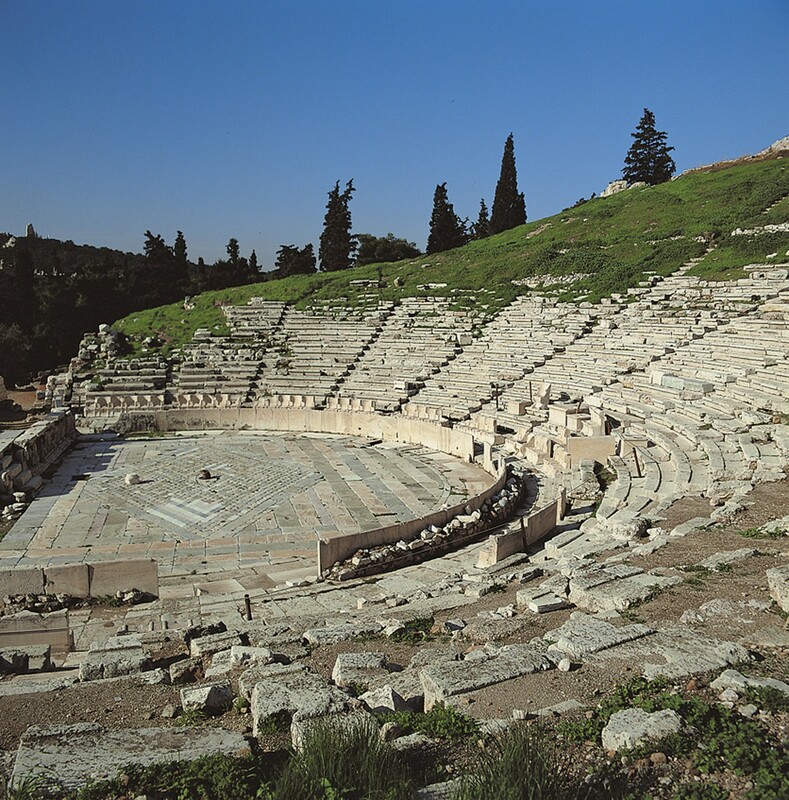 The theatre only acquired its gigantic, wholly stone-built expanse after the mid-4th century BC. Its overall shape was irregular, affected on the east side by the much earlier Odeon of Pericles, which the theatre adjoins, and on the west by the need to retain an important ascending road. The basic layout of the theatre consists of 14 radiating flights of steps which divide the cavea into 13 wedge-shaped sections, the cunei. The seats in the first tier are in the shape of marble thrones, dominated by the central throne of the Priest of Dionysos. To left and right of this throne and extending to the outermost flights of steps are 33 seats of honour on either side, known as proedriae. The other tiers of seats consist of large, well-dressed stone blocks from the shore of Piraeus. Today seats are preserved in good or poor condition up to and including the 34th tier, while it is estimated that there were 67 tiers of seats reaching the height of the ancient walk. The stage of the Theatre of Dionysos was first converted into a stone building around the middle of the 4th century BC, when Lycourgos was the eponymous archon. The greater part of the Theatre, with the stone cavea and the retaining walls of its parodoi, was not altered in Hellenistic times, but the stage was rebuilt during that period. In Roman times, a new scenic structure was raised in place of the old, while the orchestra became horseshoe-shaped, was paved with marble slabs, and was encircled by a vertical balustrade. Another marble balustrade with mythological scenes, known as the “Bema of Phaedros”, was built on the south side of the orchestra. The Theatre of Dionysos was the centre of the theatrical performances organised in ancient Athens. At the Great Dionysia (City Dionysia), celebrated in late March to early April, all the citizens attended theatrical performances organised by the state and sponsored by choregoi (wealthy citizens). The Theatre of Dionysos was abandoned after the end of antiquity, and during the course of the medieval period its traces gradually vanished under infill which was preserved until the late 19th century. Work on the restoration, promotion and protection of the monument has not yet been completed. The monument is not used for theatrical performances or other cultural events, and the only permitted use is visiting the archaeological site. The monument forms an integral part of the Sanctuary of Dionysos, directly connected to the myths and cult of the god. Full photographic documentation exists in separate archives (1st Ephorate of Prehistoric and Classical Antiquities, Committee of the Theatre & Sanctuary of Dionysos, etc.) Drawings of parts of the orchestra, the stage of the structure, parodoi and sections of the cavea are included in the published material on the monument. There are also separate drawings in the archives of the Committee of the Theatre of Dionysos. The detailed plans of the cunei of the cavea and the orchestra by W. Wurster in collaboration with topographer Konstantinos Kazamiakis, as well as separate additional plans by M. Korres, form the basic design background for the study of the theatre to this day. Καλλιγάς, Π. 1994. «Η περιοχή του Ιερού και του Θεάτρου του Διονύσου στην Αθήνα», in: Η. Coulson, Ο. Palagia, The Archaeology of Athens and Attica under the Democracy, Proceedings of International Conference, 4-6 December, 1992, pp. 25-30. Κορρές, M. 1982-1988. Η Aκρόπολη και η νότια κλιτύς της, Ιστορική ανάλυση και προτάσεις (unpublished). Κορρές, M. 1980. «A΄ Εφορεία Προϊστορικών και Κλασικών Αρχαιοτήτων Aκροπόλεως, Εργασίες στα μνημεία», ΑΔ 35, pp. 9-21. Κορρές, M. 1981. «A΄ Εφορεία Προϊστορικών και Κλασικών Αρχαιοτήτων Ακροπόλεως, Εργασίες στα μνημεία», ΑΔ 36, pp. 5-7. Κορρές, M. 1982. «A΄ Εφορεια Προϊστορικών και Κλασικών Αρχαιοτήτων Ακροπόλεως, Εργασίες στα μνημεία», ΑΔ 82, pp. 15-18. Κορρές, M. 1983. «A΄ Εφορεία Προϊστορικών και Κλασικών Αρχαιοτήτων Ακροπόλεως, εργασίες στα μνημεία», ΑΔ 38, pp. 10-11. Κορρές, M. 2002. «Aθηναϊκή πολεοδομία, αρχαίος οικιστικός χώρος», in: Goette, H. (ed), Ancient Roads in Greece, Proceedings of a Symposion Organized by the Cultural Association Aigeas (Athens) and the German Αrchaeological Institute (Athens) with the Support of the German School at Athens, Nov. 1998 (Hamburg), pp. 1-31. Κουμανούδης, Στ. 1878-82. «Έκθεσις εν τω έτει 1879 πεπραγμένων από του συμβουλίου» ΠΑΕ, pp. 6-15 , 18 -19. Μπαρδάνης, Μ. 1997. Ο πειραϊκός λίθος στα μνημεία της Ακροπόλεως. Ακτίτης λίθος και λίθος της Μουνυχίας. Αρχαιολογική και γεωλογική έρευνα. Μελέτη των ιδιοτήτων και της παθολογίας του λίθου. Προτάσεις συντηρήσεως, ΤΕΙ of Athens, School of Fine Arts and Design, Conservation of Antiquities and Works of Art Department, dissertation. Παπαθανασόπουλος, Θ. 1987. «Το θέατρο του Διονύσου, η μορφή του κοίλου», in: ΥΠΠΟ, Αναστύλωση – Συντήρηση – Προστασία μνημείων και συνόλων, II, pp. 31-60. Ρουσσόπουλος, Α. pp. 1862-1874. «Νεώταται Ανακαλύψεις», ΑΕ. Σωτηριάδης, Γ. 1897. In: Παπαναστασίου Π. «Έκθεσις του ταμείου της Αρχαιολογικής Εταιρείας», 1897, pp. 12-14. Τραυλός, Ι. 1953-4. «Η παλαιοχριστιανική Βασιλική του Διονυσιακού Θεάτρου», ΑΕ, 1953-4, II, 156-62. Τραυλός, Ι. 1960. «Πολεοδομική εξέλιξη των Αθηνών». Dinsmoor, W.B. 1928. “The Athenian Theater of the fifth century”, Studies presented to D.M. Robinson, pp. 309-330 (Munich). Dörpfeld, W. 1896. Das griechische Theater, 2nd ed. (1966). Gogos, S. 1998 “Bemerkungen zu den Theatern von Priene und Epidauros sowie zum Dionysostheater in Athen”, Jahrsheften des österreichischen archäologischen Institutes, 67 , pp. 67-106. Maass, M. 1972. Die Prohedrie des Dionysostheaters in Athen, (München). Mitens, K. 1988. Teatri greci e teatri ispirati all’ architettura greca in sicilia e nell’ Italia meridionale c. 350-50 a.c., Analecta romana institute danici supplementum xiii (Roma). Townsend, R. 1986. “The fourth-century skene of the theater of Dionysos at Athens, Hesperia, 55 , pp. 421-440. Wilson, P. 2000. The Athenian Institution of Khoregia, (Cambridge). Wurster, W. 1979. “Die neuen Untersuchungen am Dionysostheater in Athen”, Architectura, 9, pp. 58-76. Wurster, W. 1993. “Die Architektur des griechischen Theaters”, Antike Welt, 24, pp. 20-42. South slope of the Acropolis, Athens. The theatre only acquired its gigantic, wholly stone-built expanse after the mid-4th century BC, under Lycourgos. Various conjectures have been suggested at various times to explain the geometrical shape of the cavea in the 5th century. The most widely-accepted scientific views are based mainly on excavation data. Under Lycourgos, the stage of the Theatre of Dionysos was converted into a stone building for the first time. 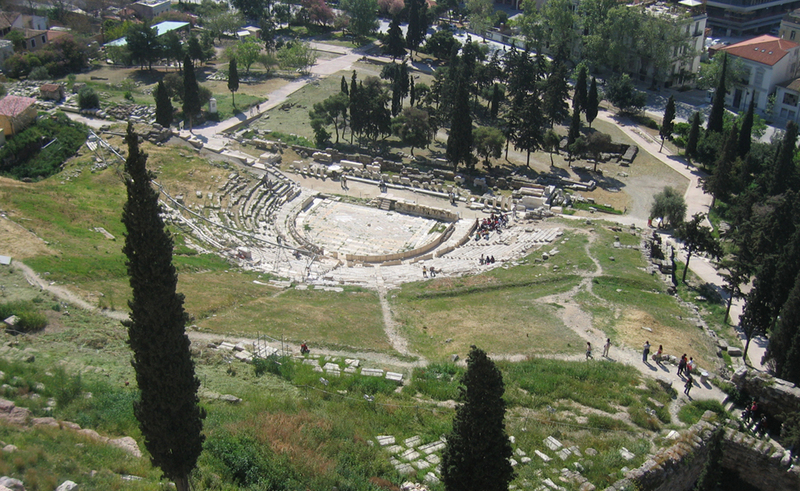 The greater part of the Theatre, with the stone cavea and the retaining walls of its parodoi, was not altered in Hellenistic times, but the stage was rebuilt during that period. In the Roman period a new scenic structure was raised in place of the old, while the orchestra became horseshoe-shaped, was paved with marble slabs, and was encircled by a vertical balustrade. Its south side was subsequently delimited by the so-called “Bema of Phaedros”, a logeion probably dating to the 3rd century AD. Drastic interventions of the Roman period are visible in the lower sections of the central cunei. On the central axis of the Theatre, in the second tier of seats, there is a large, square, inscribed base for a bronze statue. The monument forms an integral part of the Sanctuary of Dionysos, directly connected to the myths and cult of the god. Its overall shape was irregular, affected on the east side by the much earlier Odeon of Pericles, which the theatre adjoins, and on the west by the need to retain an important ascending road. The basic layout of the monument is as follows: 14 radiating flights of steps divide the cavea into 13 wedge-shaped sections, the cunei, of which the outermost, with no curvature, are narrower. In the centre of the tier of seats of honour (proedriae) rises the marble throne of the Priest of Dionysos. Below this and extending to the outermost flights of steps are 33 thrones on either side. The tiers of seats consist of large, well-dressed stone blocks from the shore of Piraeus. Today the remains of seats are preserved up to and including the 34th tier, while it is estimated that there were 67 tiers of seats reaching the height of the ancient walk. All that remains of the cavea today is small parts of the gigantic original work: the lower tiers of seats, the lower parts of the retaining walls and, much higher up, the great cutting in the rock along an arc of a circle, known as the katatome. The orchestra is preserved in better condition, while the scenic structure, with scattered members, is a low ruin. The Theatre of Dionysos was completely abandoned after the end of antiquity, while during the course of the medieval period its traces gradually vanished under infill which was preserved until the late 19th century. The actual location of the monument was first noted by Chandler in 1765 and by Bartholemy shortly afterwards, while it was identified definitively by Leake in 1841. 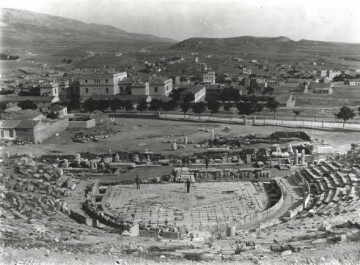 The first excavation in the area of the Theatre of Dionysos was undertaken by Roussopoulos and the German architect Strack in 1862 and lasted three years. Excavations were continued in 1877-8 by S. Koumanoudes. The German Archaeological Institute, under Dörpfeld’s supervision, subsequently undertook to complete the excavations, which continued in 1885-6, 1889, 1893 and 1895. 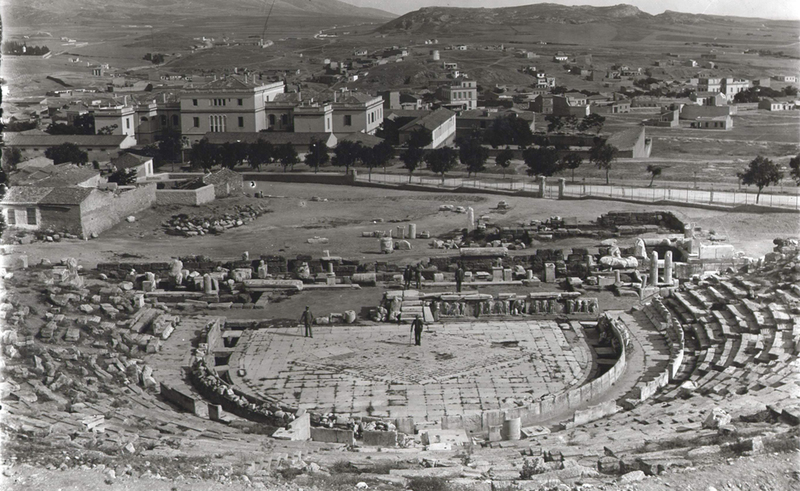 There followed investigations of the stage and orchestra in 1923, the excavation of a large part of the Odeon of Pericles in 1925, and supplementary explorations by Dörpfeld in the southwest corner of the cavea. The German Archaeological Institute with E. Fiechter and his colleagues continued the investigation of the orchestra and stage in 1927, 1929 and 1933. Finally, in 1951 Travlos investigated the area southeast of the monument, where a small Early Christian basilica of the 6th century was discovered. In 1897, under the supervision of Sotiriades, then curator of the Acropolis, the first works for the protection and promotion of the monument were undertaken. Following a long hiatus, small-scale works were undertaken in the 1960s. In the first years after the restoration of democracy, under the pressure of the state of near collapse to which the east parodos retaining wall had been reduced, the Ministry of Culture formed a scientific committee which assigned the study of the monument to W. Wurster. After 1980, work on the monument was carried out under the supervision of M. Korres, who continued Wurster’s work, alongside interventions and further investigation. In 1984 the Committee for the Conservation of the Theatre of Dionysos was set up, continuing restoration work on various parts of the monument to the present day. The Theatre of Dionysos heads the list of unused monuments of the Ministry of Culture, and after the restoration of democracy the signatures of eminent figures from the entire intellectual world of the country prevented its use at the last moment. Issues relating to restoration and conservation are handled by the Committee of the Theatre & Sanctuary of Dionysos and the Asklepieion. 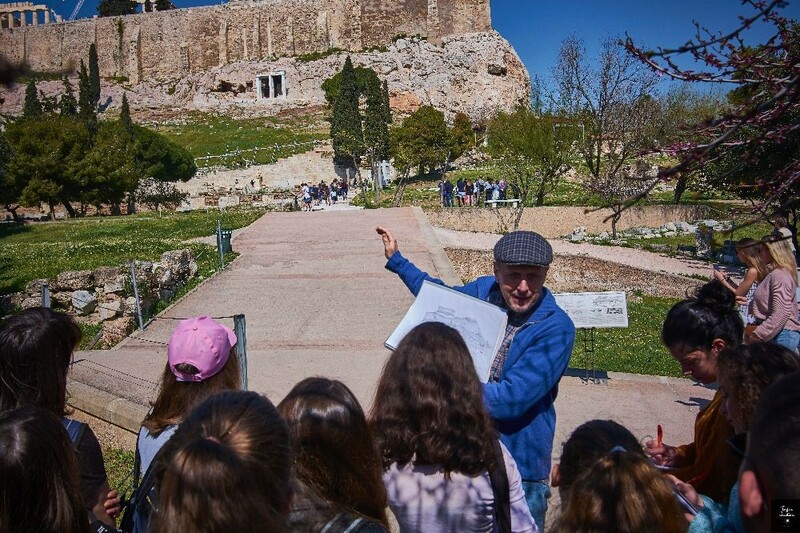 The monument belongs to the jurisdiction of the Ministry of Culture / 1st Ephorate of Prehistoric and Classical Antiquities, while issues relating to its restoration and conservation are handled by the Committee of the Theatre & Sanctuary of Dionysos and the Asklepieion. 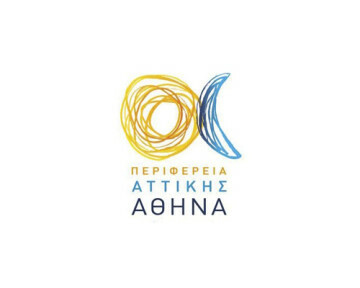 Athens Prefecture signed a Programmatic Agreement with the Hellenic Ministry of Culture and Tourism and granted 6000000 € for the restoration operations. This amount will be used for the additional operations.